Join us for an in-depth tasting and discussion of Roero wines from Piedmont. 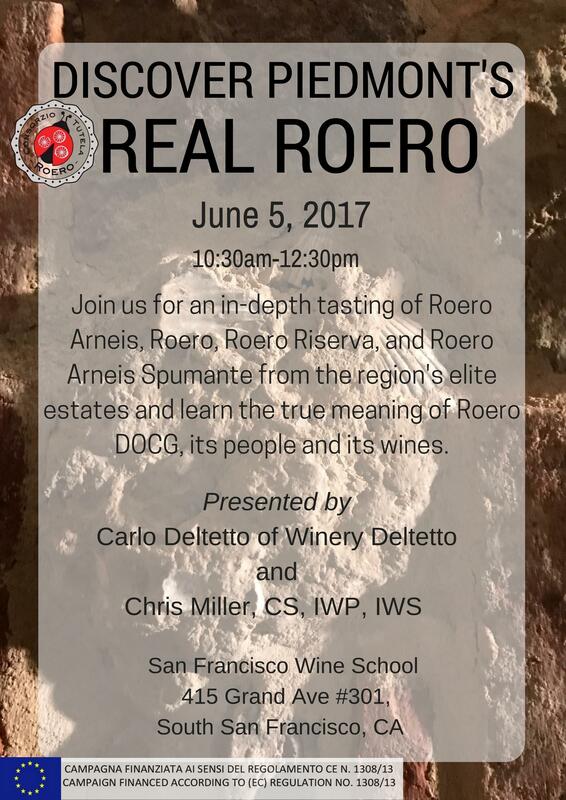 Discover Roero Arneis and the Roero made from Nebbiolo in the most comprehensive tasting San Francisco has ever experienced! The hour long seminar will be followed by a wine bar tasting.